Small-town detective/workaholic Manny Williams is thrilled with the prospect of finally taking the long-awaited vacation he had promised his wife, Louise. 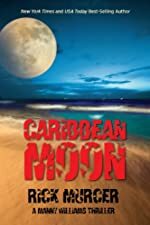 Sunny San Juan, a week-long Southern Caribbean cruise: it’s all good until they discover a bizarre, seemingly random murder in their posh San Juan Hotel…. Over 250 5-star reviews, and just 99 cents today! During the 6th century in the Arabian Peninsula, Harb, like the other warriors of that time, scrapes a living by raiding other tribes of equal stature–until the day he convinces his allies to raid the great tribe of Aghlib. On the day of the battle, he holds his blade in his hand. It shines brilliantly under the bright desert sky and he smiles back at it. He leads the charge against the men of Aghlib, not knowing or caring that his selfish acts will have dire consequences. 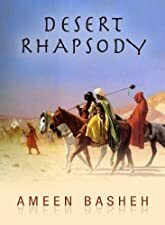 Start reading Ameen Basheh’s Desert Rhapsody in under a minute … for just $0.99!